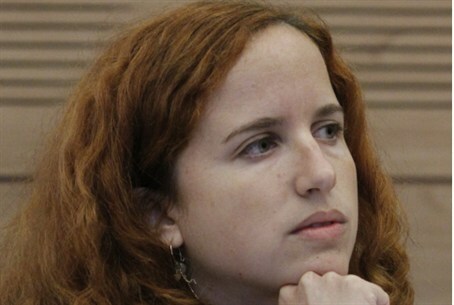 "Cat is out of the bag," says Likud minister, after "spontaneous" protest leaders join Labor. Arutz Sheva readers not surprised. After the Labor party revealed the names of some its candidates for the next Knesset, Information and Diaspora Affairs Minister Yuli Edelstein (Likud) said the names prove that last years' "social protest" was political. "The cat is out of the bag! The party's list of candidates is comprised of the same people who stood at the head of the social protest and those that covered it," Edelstein said. Two of the leaders of the supposedly spontaneous protest, former student leader Itzik Shmuli and protester Stav Shafir, announced this week that they were running for spots on the Labor ticket. A third candidate, journalist Mickey Rosenthal, gave the protest enthusiastic coverage. The Likud lawmaker continued, "Today it's clear to all that the protest served, first and foremost, as a springboard for those opportunists who misled thousands of people on the way to their goal, and the basis of all the protest was political." Readers of Arutz Sheva were aware of the protest's political dimension in real time.